Can you imagine to play a miniature game without miniatures? In playing Battleground you are doing exactly this. The basic idea is really original, as you just have to buy a starter deck of 45 cards - you can choose from different factions. The cards are used to represent your forces - and so each card stands for a Heavy Infantry, Orc Marauder or even some Trolls, depending on the faction you chose (Men of Hawkshold, Elves of Ravenwood, Undead Army, Orc Army, Umenzi Tribesmen, Lizardmen, High Elves). Gameplay is easy after you worked yourself through the sometimes not too clear written rules (especially the part with the moving rules), which could be in general structured a bit better. You choose your army out of your deck taking care of the points each player might spend. After alternating deploying your forces to the battle field, it's time for the first turn. 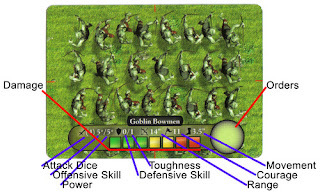 The player takes care of moving his miniatures/cards first - according to movement stats of the respective units. By the way all the stats of the unit are printed on the card (inlcuding a damage bar and a commnd circle for writing the standing order in there) giving a good overview and making it easy to keep the most important facts in mind. After "Movement and Command" there is a short phase of courage checks followed by a big sequence of resolving combat. The combat system is easy and makes sense, again finding most of the needed data directly on the card. Additionally you have to take care of LOS, terrain, weapon range and some other modifiers. There are also some action cards which can influence the result.After some post-combat courage checks it's the turn of the second player. And in general this goes on until your opponet has been completely destroyed. 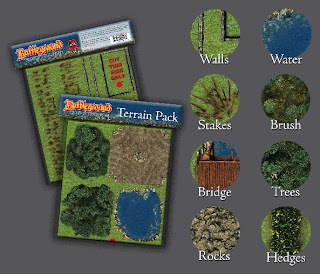 I really like the idea behind this game, and also the available terrain packs and scenarios are very well done. It's also possible to buy reinforcement decks to further strengthen your armies. 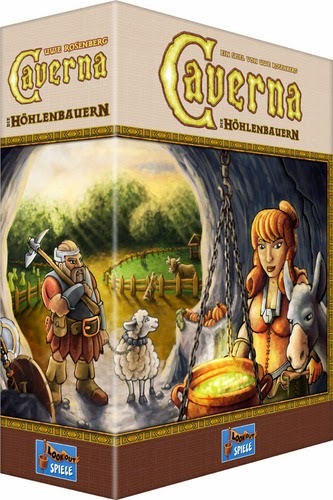 So, the whole game is very affordable and also prevents you from spending a lot of money on collectible miniatures. But also keep in mind that in terms of gameplay this is not a light wargame, in fact you have a lot of possibilities when it comes to tactical maneuvers. 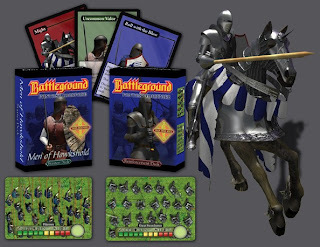 battleground - download the rules here!